Connie Hash - Manager, Service Excellence - is the ‘first voice’ of FACET. 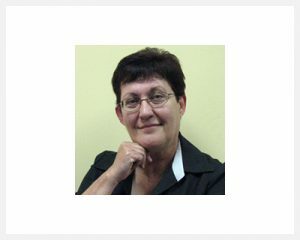 In addition to directing and supervising all calls and inquiries, Connie oversees all resumes and other documents to ensure accuracy and effectiveness. She joined FACET in January, 2005. Born and reared on a dairy farm near Lafayette, Connie brings an outstanding work ethic, common sense and unsurpassed knowledge of the community. Her business experience and knowledge of Acadiana and Louisiana in general was enhanced during her 13 years as Information Coordinator for the Greater Lafayette Chamber of Commerce. Connie’s background includes experience providing administrative support to Public Relations Directors, Membership Director, Business Manager and Executive Staff, and maintaining financial records for both private and not-for-profit enterprises. In addition to Connie’s formal training at Spencer Business College, Entré Computers, SkillSoft and SkillPath, Connie’s natural ability to make candidates, clients and staff feel at ease and well taken care of is unsurpassed.